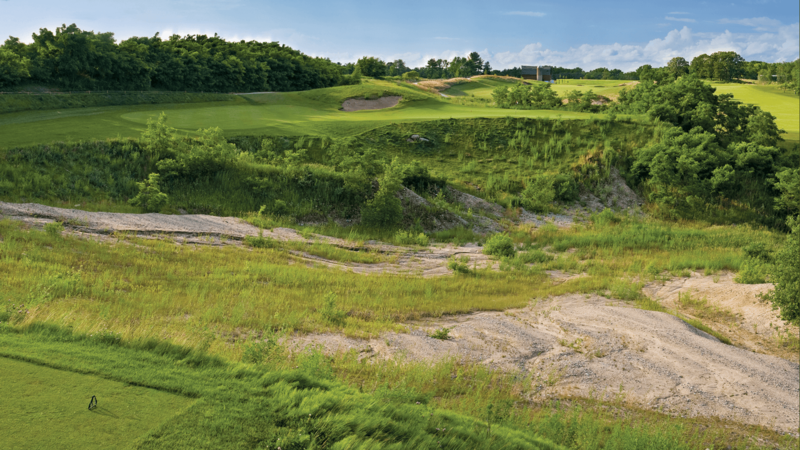 Hole 15 is an intimidating par 3 that requires all-carry over the quarry. 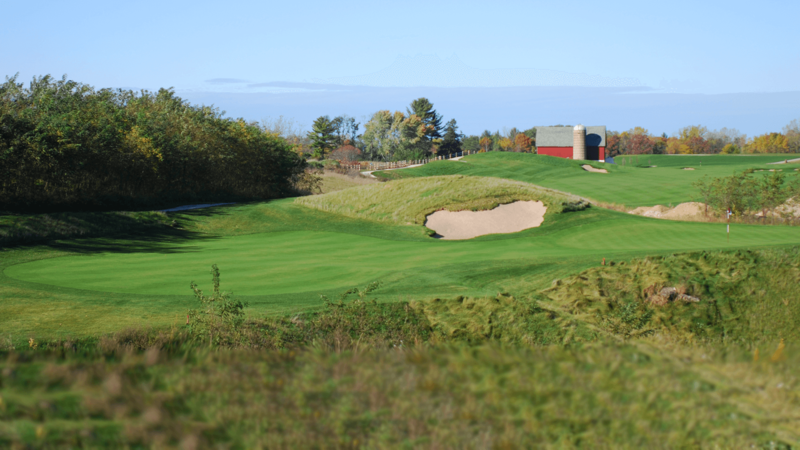 Six tee boxes dot the ridge allowing you to pick your poison. 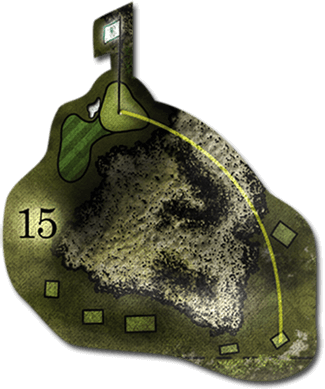 There’s some room behind and left of the green, as well as elevated tees which will help to carry your shot a little further. 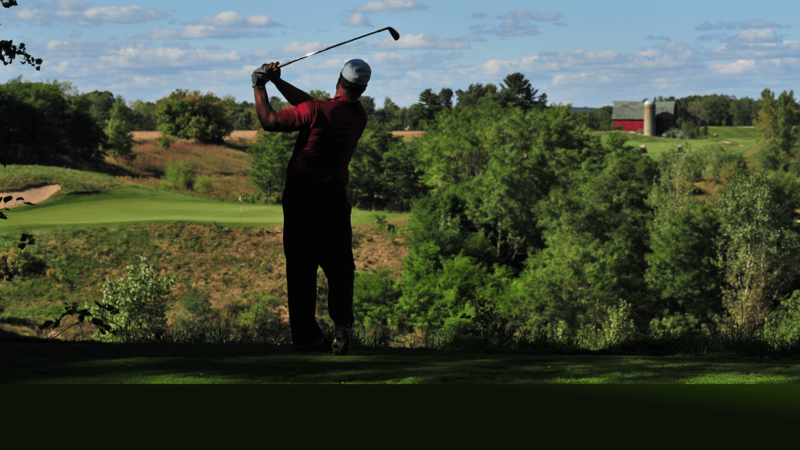 Anything short means the quarry gets to keep your ball.